Experience the garden in true Japanese style while wearing a traditional yukata every Friday, Saturday, and Sunday from 1-5PM. Allow our staff to dress you in a male or female yukata, then take a tour through the garden and snap the perfect photo against our serene setting. Yukatas are a form of traditional daily Japanese wear, specifically in the summer, and are made from light cotton material. You may also wear geta, which are the wooden sandals you'll see our staff wearing at the garden with their tabi socks. You may also choose to wear a happi jacket instead of the full yukata. Prices include 1 hour in your yukata or happi jacket. You may take them off-site if you wish to tour the city. Additional half hours in your yukata/happi jacket may be purchased for $5. 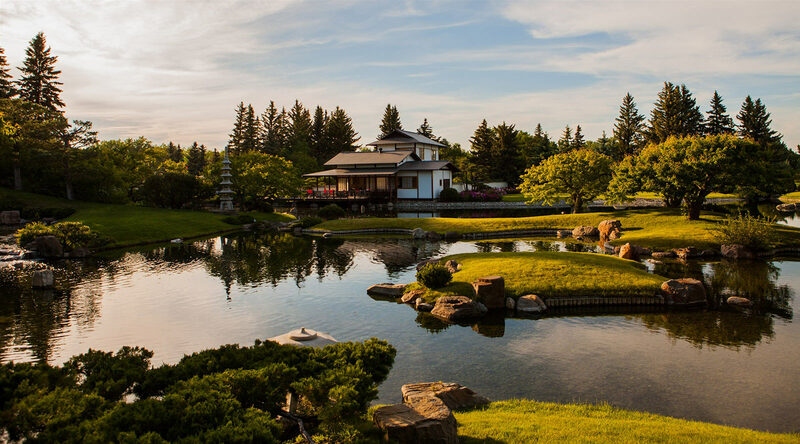 Visiting Lethbridge for Yukata Shumatsu? BOOK ONLINE NOW!